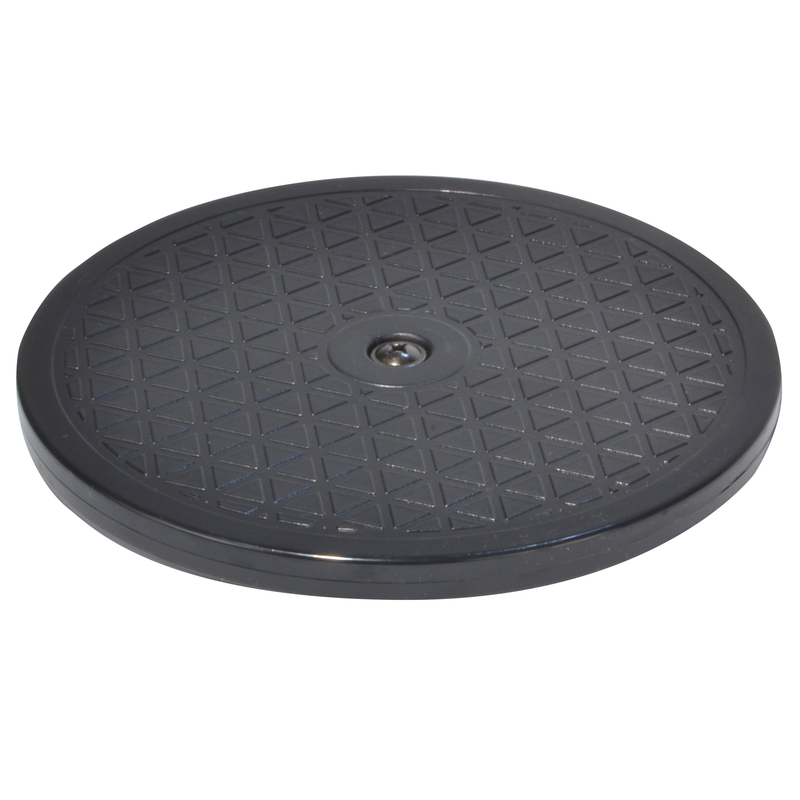 7-1/2 inch diameter x 5/8 inch thick turntable fits comfortably inside most spray booths. Rotates freely and precisely with finger-tip control. Provides easy 'all-around' access to surfaces while airbrushing and spray painting. High-impact plastic construction with molded surface texture. 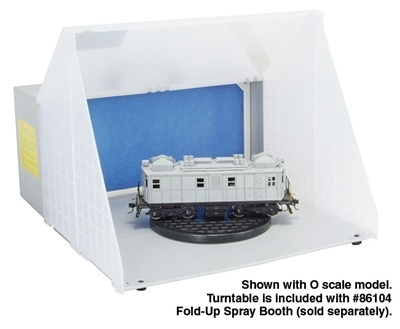 Note: One #86107 turntable is included with the #86104 Fold-Up Spray Booth.